How Much is Self Storage Near Me? 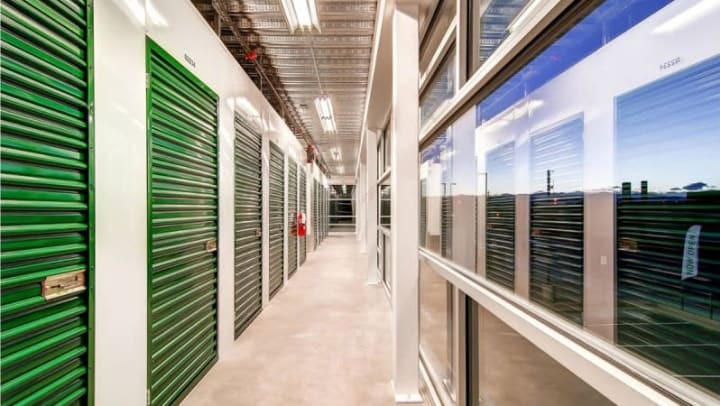 From what we’ve found, a large amount of self storage users begin their storage facility search by simply Googling, “how much is self storage near me?” Similarly, the vast majority of calls we get into our facilities are people shopping around for the best price in their area. A common question we get asked is about the differences in our prices between different facilities in an area. So why would a 5-foot by 5-foot storage unit in South Denver be priced differently than the same sized storage unit in Central Denver, and alternatively, why would the same sized storage unit be priced differently between Greenbox Self Storage and Public Storage? The true answer is that there is not just one answer, but a number of factors that go into the pricing of storage units in Denver. Below we’ll dive into what goes into pricing your storage unit and how to find the best price in your area. The most obvious factor affecting storage unit pricing is the size of the unit. It should come as no shock that a 10’ by 30’ unit will cost more than a 5’ by 5’. But did you know there are other factors that differentiate the storage units even further? Many storage companies have multiple ‘types’ of the same size unit. Greenbox Self Storage labels these “types” as either Value, Standard, or Premium. So what determines these storage unit types? Units with more convenient locations will cost more than units stashed on the top floor, far from any elevator or loading dock. Units that fit this description will almost always be labeled as a Value unit. On the other hand, a unit on the main floor right next to a loading dock will almost always be labeled as Premium. Units that have a more “middle-of-the-road” convenience factor will be Standard units. So’ something to think about when choosing a storage unit is how convenient do you want access to this unit to be. Think about floor, walking distance, proximity to the elevator and loading dock. There are only 2 different door types that really matter for pricing storage units. That is, the normal, interior door and the drive-up door. Often drive-up units are considered a Premium feature and will be priced higher. There are a number of convenience reasons a person would need a drive-up storage unit such as car, boat or RV storage. These units allow customers to back up a trailer directly into the unit without having to enter the building through facility doors or a loading dock. Most exterior units are going to have drive-up doors. These drive-up units are usually only necessary for special circumstances, and the normal interior door unit will work for most people’s needs. The final thing that determines whether a unit is classified as Value, Standard or Premium is the actual features within the unit. Premium features may include a power outlet or climate/temperature control. A temperature-controlled unit will keep the temperature of the unit from reaching extremes (cold or hot). Our temperature-controlled units stay between 50 and 75 degrees, making them good for storing documents, electronics, and other temperature-sensitive items. Probably the least obvious storage unit pricing factor is unit availability. Low inventory means demand for that unit type is high for that facility, which, in turn, means higher prices. If a facility has a lot of vacancy in, say a 5’ x 10’ unit, you can expect the cost to decrease for that particular unit type. The storage facility is not making any money off empty units, so it makes sense to decrease the price and entice a buyer. This is why you sometimes see the price for a particular unit being less than or equal to the price of a unit a size smaller. There is simply less demand for the larger unit size, in this case. In general, market prices for storage units found in urban centers will be higher than storage units in rural areas. This is due to a higher demand and a higher population density. Simply put, there are more people looking for storage space in cites, making these units more valuable. Often, people who live in cities have smaller homes and less place to store their belongings in their homes. Suburban or rural storage facilities will generally have lower priced units. They often have a higher unit vacancy and require a further drive from your home to the facility. For example, as of the date of this post, a 5x5 standard rate storage unit in Denver runs for $49. The same unit type goes for $37 at our Centennial storage facility. So remember, the further you get from city centers, the less you will typically pay for a storage unit, even if it’s the same storage company. Putting this all together, the fairest price you will pay for a storage unit depends on the size and type of storage unit you prefer, the availability of that unit type within the facility and the location of the facility. If you’re willing to drive a little further, chances are you’ll be quoted a lower price. Likewise, if you aren’t picky about the features of your unit, meaning you don’t need an electrical outlet or temperature control, you’ll be paying less. Inquire about unit sizes slightly larger and smaller than what you think you need. You just might find that the size up is actually cheaper due to a high vacancy of that unit type within the facility. Storage unit prices vary depending on these factors. The most important thing the buyer can do is to know their own needs. This is often tricky, especially for first time storage customers. We have trained dour facility managers at Greenbox Self Storage to assess your needs and find you the best unit for the best price available. Storing boxes of clothes? Maybe you don’t need the unit to be temperature controlled. Storing light items? Maybe you don’t need a unit right on the first floor. Knowing your needs is the best way to save money when utilizing a self storage unit. But don’t worry, our facility managers are here to help too!